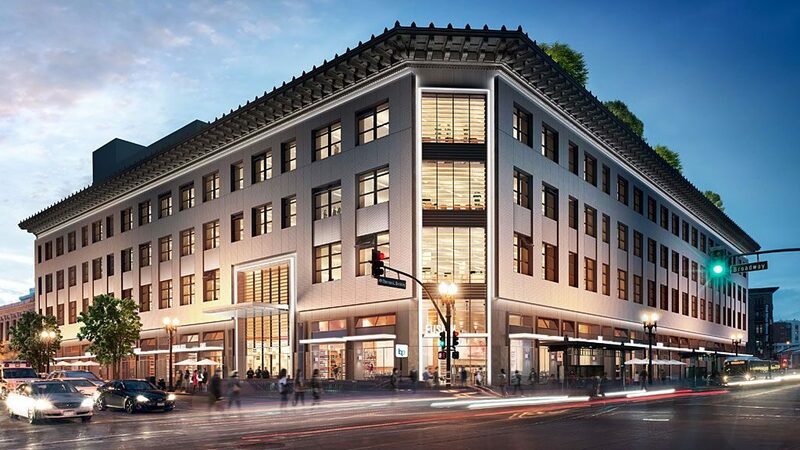 Ride-sharing behemoth Uber surprised the Bay Area in 2015 when it announced it would be moving its headquarters to a former Sears Building in Oakland, which was acquired for $123.5 million. Now they’ve scaled back their plans, purchasing a stake in two under-construction buildings in the Mission Bay neighborhood that are part of the Golden State Warriors arena project. Uber’s head of global workplace Adony Beniares told The San Francisco Business Times that they have the ability to occupy all of the office space if need be, filling 580,000 square feet with their employees. Instead of placing 2,000 to 3,000 Uber employees at the Oakland office, known as Uptown Station, the company says it will retain a few hundred and lease up to half of the still under-construction building to other tenants. “We’re investing heavily in the Bay Area as our headquarters,” Beniares told TSBT. Uber also conveyed this message to Oakland Mayor Libby Schaaf a few weeks ago when it notified the City of its “smaller employee presence,” reported The East Bay Express. The uncertainty of Uber’s impact on Oakland extends to the possible BART station exit inside of Uptown Station. That decision that would have been discussed by the BART board on April 13, but now the status of that meeting is unclear and confidential.